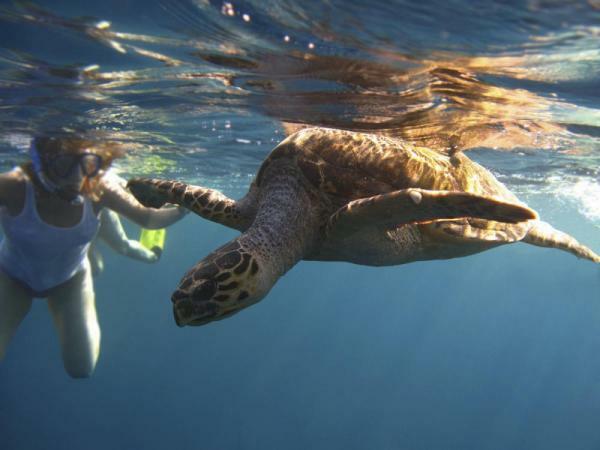 Experience the highlights of the Galapagos' northern islands on this 5-day adventure! Travel from beautiful Santa Cruz Island, to wildlife-rich Genovesa, to fascinating Santiago, exploring many destinations in between. 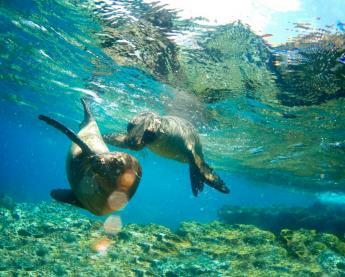 Snorkel, kayak, and become acquainted with the archipelago's friendly and fearless endemic wildlife species during your cruise on the Galapagos Odyssey. 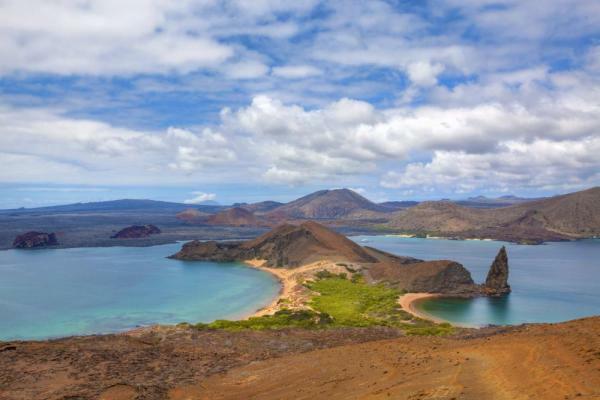 Begin your Galapagos adventure with a visit to Dragon Hill. Located in northwestern Santa Cruz, a walk up the hill affords breathtaking views of the bay and surrounding islands below. 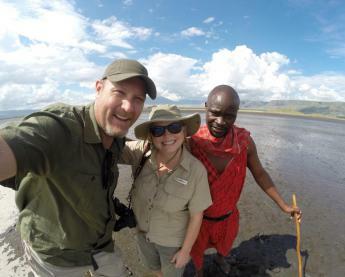 Along the way, stop at a hyper-saline lagoon, home to a variety of bird species including flamingos and pintail ducks. Travel to Rabida Island, known for the striking red color of its rocks and beaches. Take a short walk leading to a coastal lagoon. 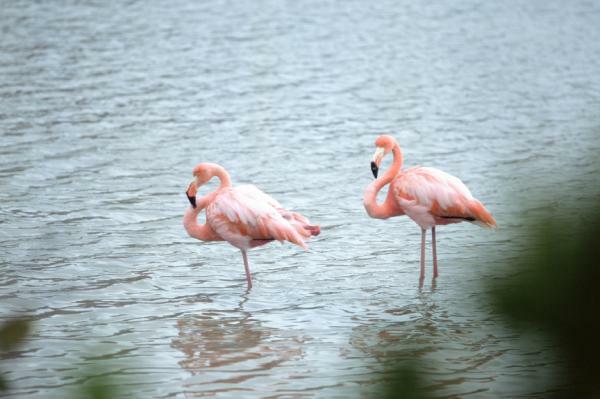 Here you can observe a myriad of entertaining birds, including finches, doves, yellow warblers, mocking birds, and flamingos. In the afternoon, head to Chinese Hat. This small islet is named for its conical shape. It features many interesting lava tubes and flows, in addition to other evidence of its recent volcanic formation. 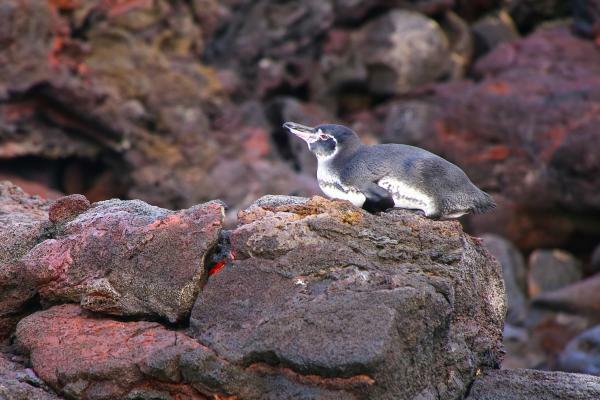 The island is also home to sea lion colonies, marine iguanas, and Galapagos penguins. In the morning, head to Darwin Bay. 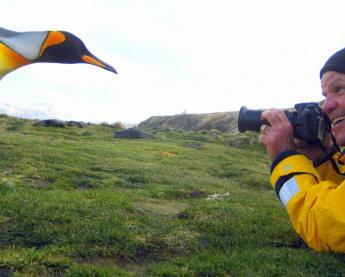 The island of Genovesa is a birdwatcher's paradise, home to an array of species. Enjoy the beautiful white coral beach and wander along a trail through nesting sites and mangrove forests. The trail's terminus is at cliff's edge, rewarding visitors with an incredible view of the island below. 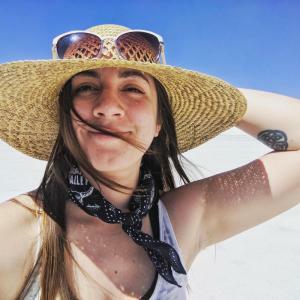 The southern portion of Darwin Bay features El Barranco, a trail leading hikers up to a gorgeous plateau, perfect for admiring the picturesque beach. Enjoy the morning on Bartolomé Island, touted as one of the most scenic in the archipelago. Reaching an altitude of 114 meters, Bartolomé offers stunning views of the Galapagos' volcanic features, including cones, lunar-like craters, lava fields, and the famous Toba pinnacle. In the afternoon, travel on to Santiago, a volcanically active island located in the west-central area of the archipelago. Explore Santiago's lava flows, which can still be seen threading across the island, and are even visible from the far reaches of outerspace! Explore the highlands of Santa Cruz. 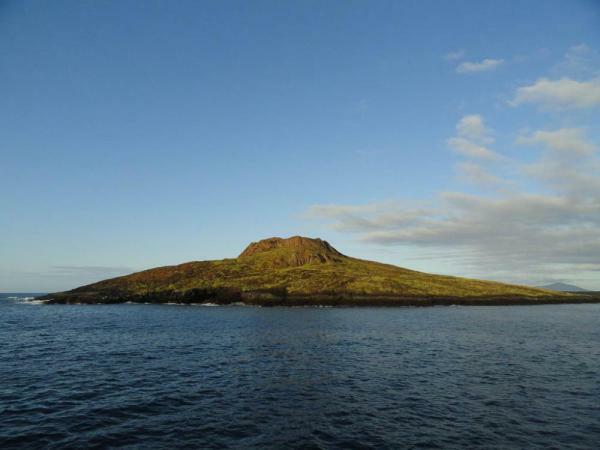 Take a trail through the island, enjoying its distinctive vegetation zones, rolling hills, and extinct volcanic cones. Before your departure, visit Baltra, an uplifted island rich in wildlife and unique in terrain. Enjoy the antics of the marine birds and the beauty of the rocky shoreline as you traverse the island. Cruise the Galapagos in style on the Galapagos Odyssey yacht. Carrying 16 lucky passengers, it has ample open space, 4 decks, a Jacuzzi, and an Al fresco dining area. Recently remodeled, it is an excellent option for any Galapagos cruise. One cabin on the Lower Deck with a queen size bed, which can be used for single occupancy. Private bath facilities, individual A/C, mini-bar, desk, closet & phone. 2 convertible twin cabins and 2 matrimonial cabins on the main deck and 2 convertible twin cabins on the upper deck. Private bath facilities, individual A/C, mini-bar, desk, closet & phone. 2 convertible twin cabins and 2 suite cabins on the Upper Deck. Private bath facilities, individual A/C, mini-bar, desk, closet & phone.